Welcome to the Sugar 2.0 Facebook Pagel! You'll find updates, news, videos, easy to cook and bake recipes using Sugar 2.0 and all things related to reducing sugar and Sugar 2.0. What is Sugar 2.0 you ask? 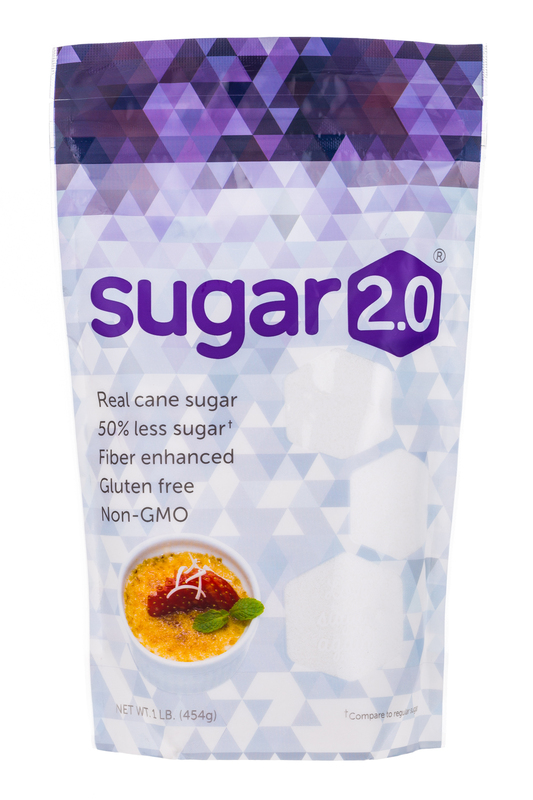 Sugar 2.0 is a blend of real cane sugar and natural, non-gmo prebiotic soluble fiber. 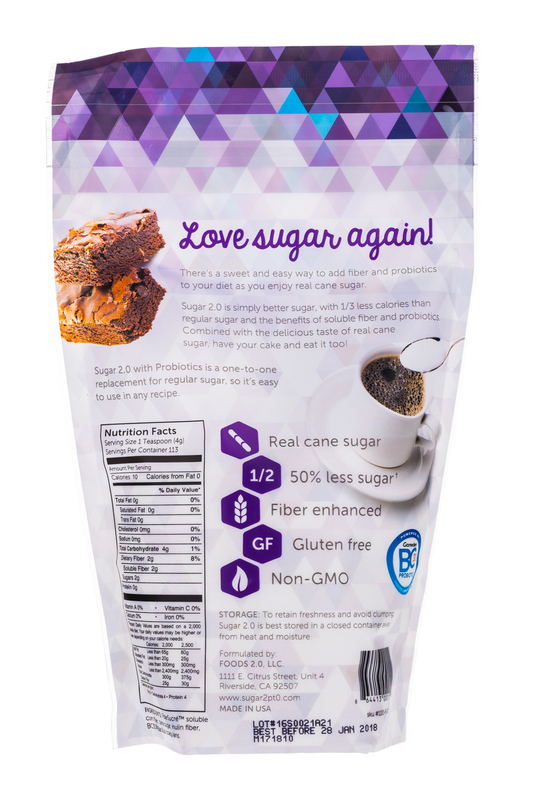 Sugar 2.0 was created to address consumers' addiction to sugar. 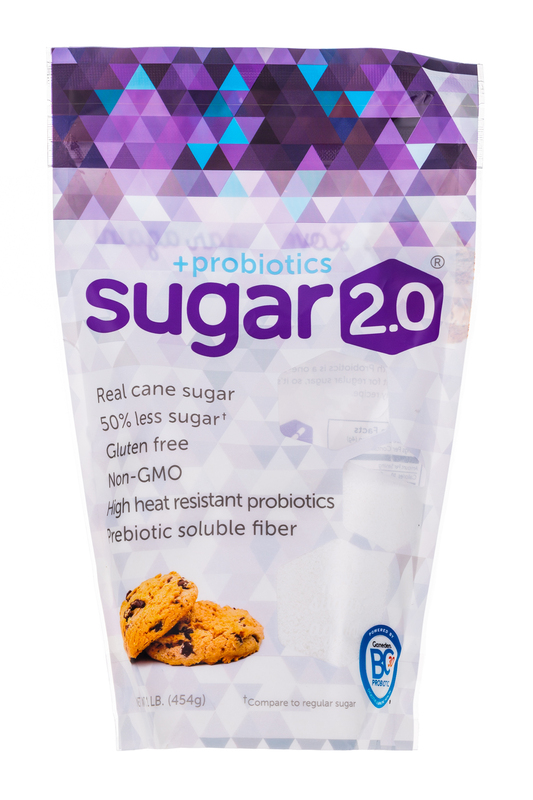 Every serving of Sugar 2.0 cuts regular sugar content in half and enhances its nutritional value with fiber and probiotics. 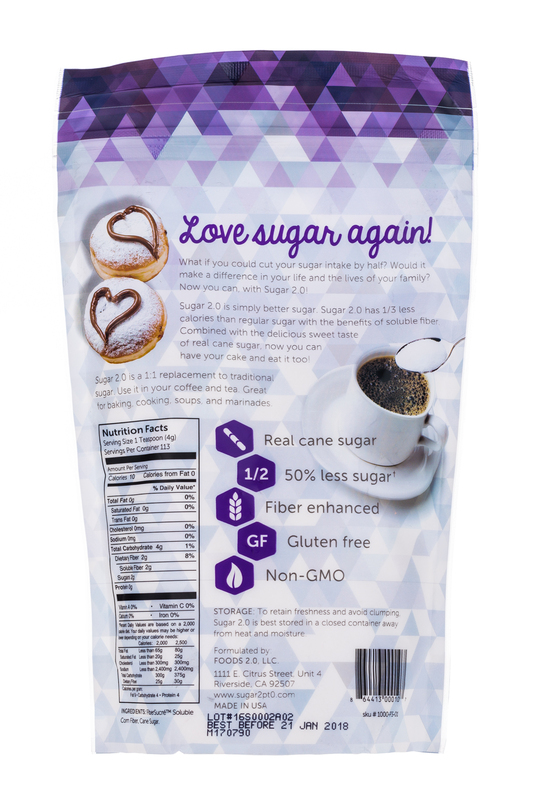 Sugar 2.0 was developed as a replacement for all sugar and sweeteners. It's great for tea, coffee, cooking, and baking! Every teaspoon equals 2 grams of soluble fiber. Measuring cup for cup to regular sugar, Sugar 2.0 makes it easy to recreate your favorite sweet treats without sacrificing the great taste and versatility of regular sugar. Love sugar again!